Masses of art lovers gathered at the 2016 Expozine on the weekend of Nov. 12-13 to marvel at works by Montreal’s independent art community. Photo Kelsey Litwin. Photo Kelsey Litwin. Église Saint-Denis was packed this weekend as people milled between tables upon tables of zines, poetry, graphic novels, and so much more. 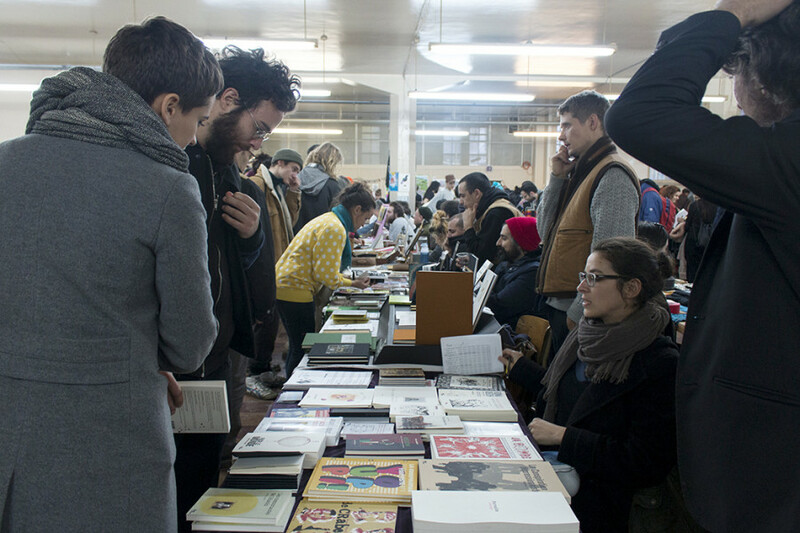 The Expozine scene was in full swing Nov. 12 to 13. Turns out that this description was completely accurate. Rastelli was constantly occupied, ensuring that the event ran as smoothly as possible. All ten co-founders of Archive Montreal were small press zine-makers, poets and writers before organization’s inception. Their mandate is to promote and preserve the independent arts milieu. “We wanted to build an archive of all this stuff. We wanted to develop promotional projects such as Expozine,” Rastelli said. Today, Archive Montreal has archived thousands and thousands of these kinds of works. Although it has created several subsets, including Distroboto, Expozine is specifically for small press and publishers of graphic novels, poetry and short literature. Rastelli admitted that a lot of people had doubted that Expozine would stick around for more than two or three years. This year was its fifteenth edition. Despite Expozine’s success, they’ve been having issues with finding an appropriate venue that would be able to accommodate all of the vendors and guests. The size of the space isn’t the only issue. The space where Expozine happened last year was literally falling apart. The future of the fair, and virtually any other organization of Archive Montreal is dependent on finding the space. Among these artists and writers was Jillian Fleck, author of her first published graphic novel, Lake Jehovah. Dealing with themes of breaking up, hooking up, feeling anxious and anticipating the end of the world, Lake Jehovah is a graphic novel that is definitely worth picking up for a good read, if only for its demons. Jay, a genderqueer individual, is the main character of this story. Xe experiences a traumatic breakup, where xe predicts the apocalypse and soon after falls into a six-month coma. Xe wakes up only to realize that the world around xim has changed, including xis newfound fame as an end-of-times prophet. Lake Jehovah is full of the fear of abandonment and a heck of a lot of “I don’t know.” Because who the hell knows how to deal with difficult thoughts, right? Fleck captured the abstract emotion of loneliness wonderfully in just her illustrations; words were unnecessary with the imagery displayed in Fleck’s panels, creating an atmosphere that readers will feel whether they relate to the situation or not. Fleck even inserted some of her personal experiences into this graphic novel. Concordia student and illustrator Gabor Bata was also at Expozine, showing some of his work. He explained that Montreal doesn’t have as many opportunities for illustrators and small press artists like the city of Toronto would have. Bata noted how he had met several people at Expozine that he will most definitely work with in the future. “Expozine sort of informs you on what people are flocking to in the art and small press world, so it’s insightful that way,” Bata continued. As one of the creators behind the zine Totum, Bata pointed out some artists that gave him some new ideas for his own work.